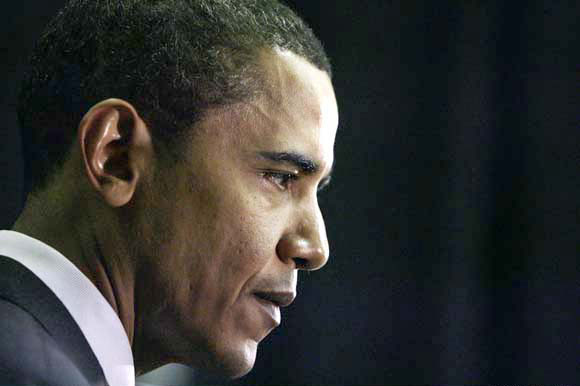 Sen. Barack Obama's forceful denunciation of his former pastor, the Rev. Jeremiah Wright, earned him praise Tuesday for confronting a searing controversy that has dogged him for weeks. But on sensitive race issues, the Illinois senator might get no relief. He is being pounded by Republicans who say they'll continue to jab at his "questionable" judgment and by some Democrats who say his condemnation was purely political. Skeletons, pish tush! darling I can barely move in the basement for the decades of husbands piled haphazardly against the walls, I've lost count but I think it's into nine digets. I still say Obama will get the nomination and we'll have Obama - Edwards in 08. Those aren't just skeleton's, that's the whole Scooby Doo ensemble of monsters in his closet. Its a sad day when both candidates who live or lived 15 miles in either direction from me, make ashamed to be from Illinois.